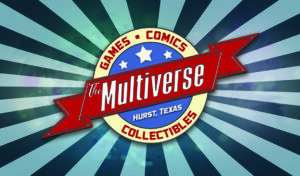 We are delighted to announce that the Multiverse in Hurst, Texas, as started carrying our horns on consignment! These are finished pieces, painted and sealed, and you can come around and see just how light and durable they are. Of course, we’ll still take your custom orders, but if you’re local, this is a great place to go check out. ALSO, VERY EXCITED to announce that we finally found a ready-to-go double-sided adhesive, which means that we can ship your horns to you ready to wear straight out of the box! You’ll still have to use spirit gum for the little ones and prosthetic glue for the big ones after your first time, and we still highly recommend conditioning your skin properly with the antiperspirant solution beforehand. We found that this new tape was incredibly durable and it was gentle enough to take off that you could probably use it for children over 3 years of age. In even more exciting news, we’re also finally getting a new foundry! That means that we should have bags of … treats for you guys in time for the winter holidays!